(1) Same Relief As Chapter 7: I understand that the DEBT-Buster Plan is a special type of bankruptcy case, one that has been made available as a result of the recent changes to the Federal Bankruptcy Law. Basically, it is "hybrid" version of a Chapter 13 bankruptcy case. "Hybrid" means that it is a Chapter 13 case crafted and modified to get me the similar debt relief and protections that I would get if I filed a Chapter 7 bankruptcy case. (2) Less Money Needed Up-Front To Get Started: The real benefit of the DEBT-Buster Plan is that I can get started and protection from my creditors by paying less money up-front than would be necessary if I filed a standard Chapter 7 bankruptcy case. Can Get Done Earlier: If I choose to, I can pay more and get done with my DEBT-Buster Plan sooner. "Bust Free" From Debts Incurred To Pay Taxes: I can also get out from under loans I obtained to pay taxes I owed. No Reaffirmation Hassle, Risk, Or Cost: Unlike Chapter 7, I will not have to "reaffirm" my vehicle loans. "Reaffirm" means that I sign back on vehicle loans "personally". Not having to do so saves me the hassle, the risk of personal liability, and $125 per vehicle in attorney fees. 1) No Equity Above Exemptions: I must have available to me "exemptions" sufficient to protect all of the property and other possessions that I own and want to keep. "Exemptions" are laws which define how much and what kind of property I can keep and protect, even if I file bankruptcy. 2) No Secured Debts In Plan: I must agree that all of my secured debts will be paid "outside" my DEBT-Buster Plan, except as noted below in this sub-section. Note: This means that none of these debts will be included in or paid through my DEBT-Buster Plan. "Secured" debts are debts where my creditors holds, as collateral, a lien against something I own, and includes obligations such as car loans, home loans, furniture loans, computer loans, real estate taxes, judgment liens, homeowner association dues, and income, sales and withholding tax liens. (iii) Non-Purchase Money Security Interests (hereinafter NPMSIs): These are debts where I borrowed money and where I listed as collateral things I already owned, such as household goods or tools of trade, but not a motor vehicle. None of these debts will be dischargeable in bankruptcy, except with respect to a debt where the last contract payment is due before the end of my DEBT-Buster Plan. In addition, I understand that the above list may not include all my secured debts, and that, with respect to any and all other debts that turn out to be secured (other than those specifically excepted from this section), if I want to keep the collateral securing these other debts, I must continue to pay and keep up-to-date these other debts, including, without limitation, debts that turn out to be secured by what are known as a "purchase money security interest". 4) No Leases And Executory Contracts In Plan: "Leases and executory contracts" include obligations such as the lease of a vehicle, an apartment or a commercial building. I understand that leases and executory contracts will NOT be included in or paid through my DEBT-Buster Plan. That said, I understand I do have a choice as to how these obligations are handled. I can keep a lease or executory contract or I can get rid of the obligation by "rejecting" it. 5) Leases Or Executory Contracts That I Need To Keep Up-To-Date: I want to keep the following leases or executory contracts. Therefore, I understand that I must continue to pay on them and that I must keep my payments up-to-date. I understand that, if asked, I will also need to sign whatever documents are necessary to "assume" same. None of these leases or executory contracts will be dischargeable in bankruptcy, except with respect to a lease or executory contract where the last payment is due before the end of my DEBT-Buster Plan. 7) Must Pass Means Test: I must pass what is known as the "Means Test". The Means Test is a new test under the law that I must pass in order to qualify as a candidate for Chapter 7. (2) Can Afford It: I must show that I can afford to pay all of my normal monthly living expenses (including the secured debts mentioned above), plus my DEBT-Buster Plan payment. (3) Limit On Includable Priority Debts and NPMSI Debts: My DEBT-Buster Plan can include, pay, and take care of a certain amount of these types of debts. However, the total of these debts (excluding unpaid attorney fees and Ch. 13 Trustee commissions) must not exceed what can be included, paid and taken care of without making my DEBT-Buster Plan longer than 57 months in duration. "Priority" debts are special debts that must be paid in full in a Chapter 13 case and include, for example, such things as past-due child support or alimony, personal property taxes due for the last 2 years, income taxes due for the last 4 years, and sales or employee withholding taxes due for any and all years. Valuing Non-Purchase Money Security Interest (NPMSI) Debts: Under the law, these debts need only be paid to the extent of the value of the collateral listed. For purposes of formulating my DEBT-Buster Plan, I understand that each NPMSI debt will be included in my plan as if the collateral listed is only worth not more than $350. (4) No Pending Criminal Proceedings: I must not be involved in any pending criminal proceedings. (1) My case will not be filed until I have both paid to your law firm $______________ and signed all the final paperwork necessary to file my case. (2) My first DEBT-Buster Plan Payment will be due the 1st of the month after my bankruptcy case is filed. (3) My DEBT-Buster Plan will only get rid of my "dischargeable" unsecured debts such as credit cards, medical bills, loans, and obligations left over after repossession or foreclosure. (4) My DEBT-Buster Plan will not get rid of any "non-dischargeable" debts, such as child support, alimony, student loans, educational benefits, or debts owed by me as a result of fraud or embezzlement or intentional misconduct. (5) My DEBT-Buster Plan will not get rid of my personal obligation on debts, included or includable, in the categories above entitled: (i) Secured Debts That I Need To Keep Up-To-Date or (ii) Leases Or Executory Contracts That I Need To Keep Up-To-Date, except for debts where the last payment comes due before the final payment comes due on my DEBT-Buster Plan. (6) My DEBT-Buster Plan will however stop 'collection' upon these student loans and educational benefits while I am in my plan. Even so, interest on student loans and educational benefits will continue to accrue. (7) My DEBT-Buster Plan will not get rid of any "secured" debts, except for NPMSI debts and/or debts where I have agreed to "surrender" to the creditor the collateral on which the creditor holds a lien. (8) My DEBT-Buster Plan will only get rid of my obligation to pay certain debts. It will not get rid of somebody else's obligation, as for instance the obligation of someone who co-signed or guaranteed a debt for me. For example, my DEBT-Buster Plan will not get rid of my spouse's obligation on a debt, unless my spouse files bankruptcy with me. (9) My DEBT-Buster Plan will not stop any pending criminal proceedings, and my DEBT-Buster Plan will not get rid of my obligation to pay court-ordered criminal or criminal restitution. (10) If I owe any alimony or child support payments, I must pay and keep up-to-date all such payments that come due after my DEBT-Buster Plan is filed. Otherwise, I will not have the right to obtain a 'discharge' when my DEBT-Buster Plan is complete. (1) No other secured debts, executory contracts or leases: I do not have any secured debts, leases or executory contracts, other than those specifically referred to above. (2) All Income Tax Returns Filed: All of my Federal and State income tax returns for the last 4 years have been completed and filed, or will have been completed and filed, before my bankruptcy case is filed. (3) All Sales And Withholding Tax Returns Filed: If I am or was in business, all of my Federal and State sales tax and employee withholding tax returns have been completed and filed, or will be completed and filed, before my bankruptcy case is filed. (4) No "Priority" Debts Owed: I do not owe any "priority" debts above the limits allowable as set forth above in paragraph "(3)" of the Qualifications section, such as past-due child support or alimony, personal property taxes due for the last 2 years, income taxes due for the last 4 years, or sales or employee withholding taxes due for any year. In addition, I will not owe any "priority" debts above said limits as of the date that my bankruptcy case is to be filed. (5) Debts Secured By Collateral I Want To Keep: All of my payments on all of these debts are completely up-to-date, and I will continue to pay and keep up-to-date on all of these debts, both before and after the date when my bankruptcy case is filed. (1) Steady, Dependable Income: I have, and will have as of the date my case is to be filed, enough steady, dependable income to pay both: (1) My $99 per month DEBT-Buster plan payment and (2) The cost of all my normal monthly living expenses (including debts secured by vehicle(s) and home. For the purpose of qualifying for the special "$99 per month" plan, "steady, dependable income" includes only steady, dependable income I receive: (1) From permanent employment working for someone else (where I am paid either on a salary basis or based upon a hourly basis for a steady number of hours), and/or (2) From retirement plans and social security. It does NOT include income I earn or receive from self-employment, employment based upon production goals or commissions, unemployment, Worker's Compensation, overtime work, bonuses, rental income, short-term disability, or gifts from family or friends. (2) Payroll Deduction Necessary: I agree to submit to payroll deduction for the purpose of making my DEBT-Buster plan payments. Note: This will be required only when there is a steady, dependable job on which it can be implemented. For example, it will not be required if my only income is from retirement or social security. 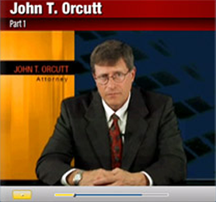 (1) Before Bankruptcy Case Filed: I understand and agree that if I fail to meet any of the terms or conditions necessary to qualify, as of the date my bankruptcy case is to be filed, for participation in a DEBT-Buster Plan, your office will have no obligation to proceed with filing of the DEBT-Buster Plan version of bankruptcy on my behalf. [ ] Payroll deduct is required: Where there is a steady, dependable job on which to place a payroll deduction.